AmTrust Financial Services recently reviewed five years’ worth of workers’ compensation restaurant claims to identify trends within the industry. What we found is that average claim costs vary widely across the different types of restaurants, the injuries incurred and the time lost out of the workplace as an employee recovers. Claims also vary based on seasonality and geography. 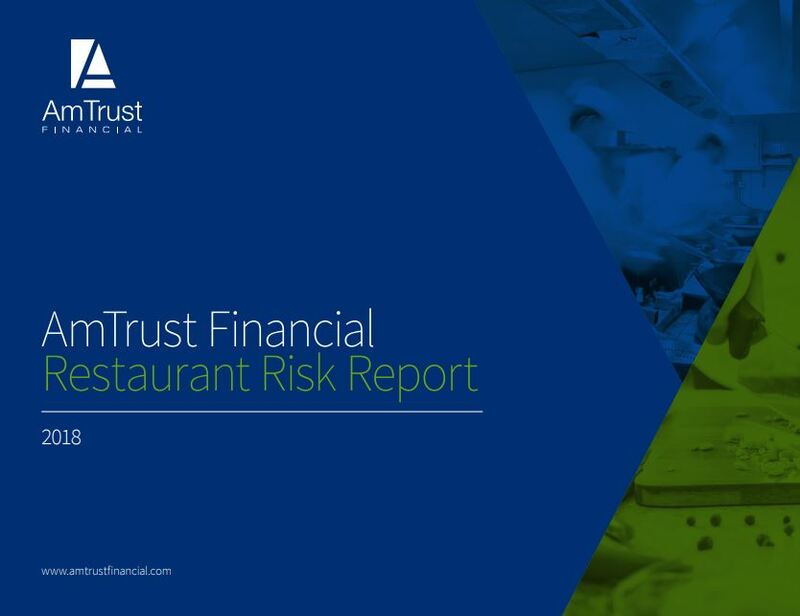 Our Restaurant Risk Report takes a deeper dive into all of these trends, as well as provides some loss control best practices to help reduce the risks involved in the industry. For an accompanying video, click here. The restaurant industry is a big business that is ever-changing. There are over one million restaurant locations in the United States with a total of 14.7 million employees, a number that represents 10 percent of the entire workforce in the nation. Other industry statistics suggest there will be 1.6 million new restaurant jobs created by the year 2027, and that restaurant sales are projected to total 4 percent of the U.S. gross domestic product. Use designated buckets to dispose of broken glass, bottles and plates – do not use regular trash. Debris in buckets should be placed in a cardboard box and taped shut before being taken to the dumpster. Make cut gloves available for staff that use knives or slicing equipment to prepare food. The use of cut-resistant gloves should be mandatory and enforced. Store plastic wrap below eye level in all kitchens. Beware of cuts while hand washing slicer blades and knives in a sink topped with suds. Reaching in with hands unprotected can result in running a hand right into the sharp edges. Hand wash knives separately. 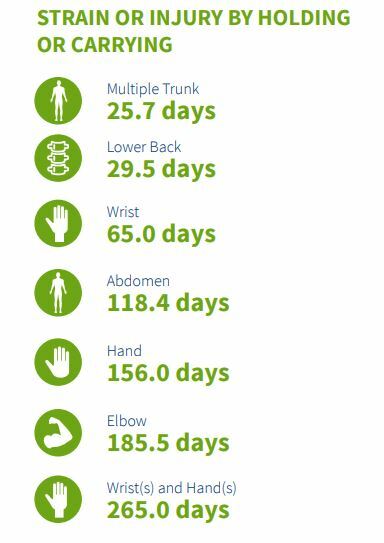 Individuals who experience strains in their wrists and hands will miss the most time in the workplace, averaging 265 lost days of work. Injuries to the trunk, lower back, abdomen and elbow from holding or carrying heavy items incorrectly are also common among restaurant employees. According to the Burn Foundation, the restaurant and food service industry reports around 12,000 burns every year, the highest number of burns of any employment sector. Workers can easily come into contact with hot surfaces like grills or stoves and hot oil, liquid and steam as they go about their daily duties. 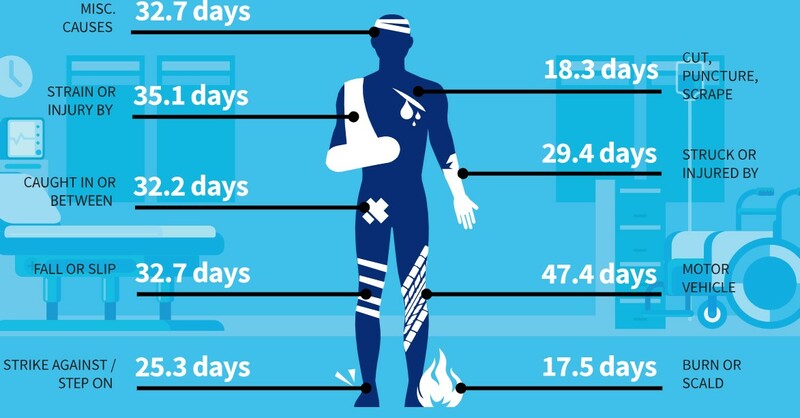 And, after an employee suffers a burn, he or she will miss an average of 17.5 days of work recovering. How Long Will an Injured Restaurant Employee be out of the Workplace? Based on claims with lost time, an injured employee would take an average of 30 days to return to work. One might think that burns or scalds are the most common injuries coffee shop workers face, however, wrist injuries actually present a much bigger risk than all others. The repetitive motions involved with preparing that fresh cappuccino often cause muscle strain, fatigue and conditions like lateral epicondylitis and medial epicondylitis, better known as tennis elbow and golfer’s elbow. From Memorial Day to Labor Day, the restaurant workforce nearly doubles. More than four million teens across the country set out to findemployment during the summertime, with many of them joining the restaurant industry. These inexperienced, newly hired employees are often more likely to be injured than those who have been on the job for a while. Inconsistent training, physical and mental attributes of these young employees, and employer lack of knowledge regarding federal and state laws are usually to blame for the spike in restaurant worker injuries over the summer months. For more information, download AmTrust’s full report. Let AmTrust help manage your restaurant risks. Matt Zender is vice president and workers’ compensation product manager for AmTrust Financial Services. He can be reached at matthew.zender@amtrustgroup.com. 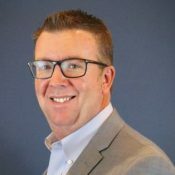 ​​​​​​Matt Zender is vice president and workers’ compensation product manager for AmTrust Financial Services. He can be reached at matthew.zender@amtrustgroup.com.